Xmas greetings to one and all. I hope everyone is enjoying the Yuletide cheer as the run up to Christmas begins. 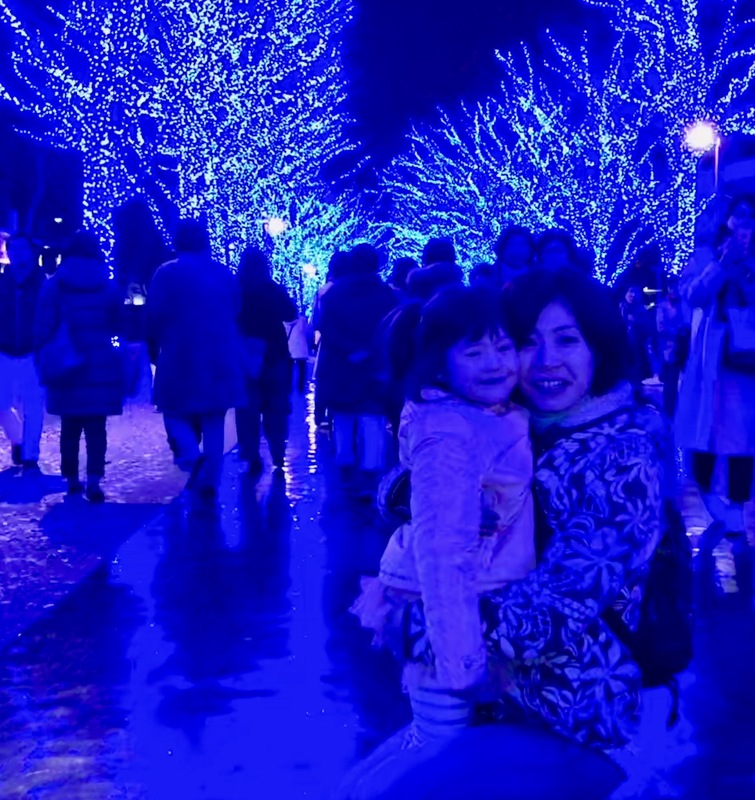 It’s a great time to spend with love ones basking in the night illuminations that have sprung up around Yokohama and Tokyo. 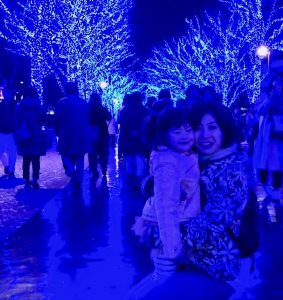 I had the good fortune to take my wife and daughter to Shibuya to see the “Blue Cave” situated near the station. 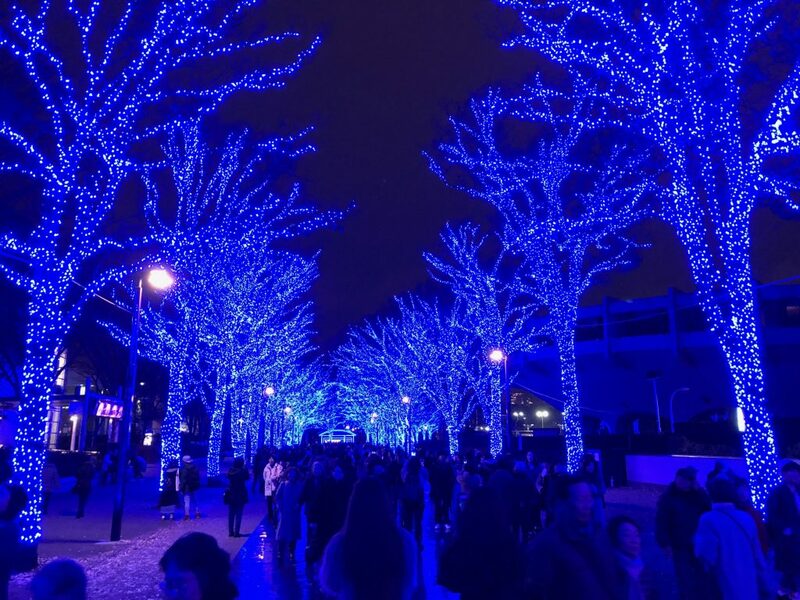 The lighting runs for a few hundred meters creating a lovely latticework of white and blue arranged in the trees that run along the footpath that parallels NHK. 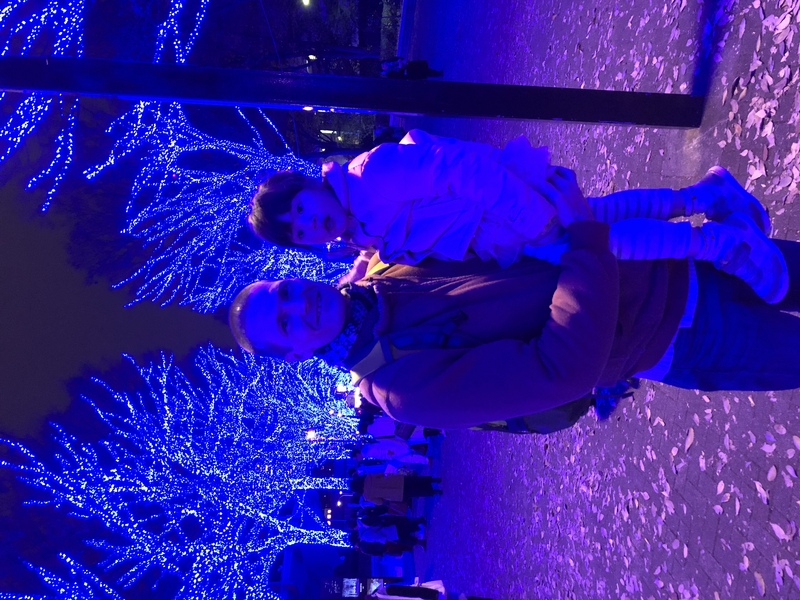 My daughter was utterly captivated and made the astute observation that the sky appeared to be orange in the background due to the play of the lights. 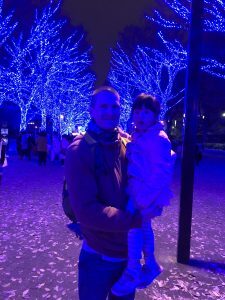 I hope to take my family to see the night illuminations at Yomiuri Land next. Please have a safe Christmas and Happy New Year. Copyright © 2003-2015 BridgesEnglish.com All rights reserved.